Buenos Aires has a small Barrio Chino in Belgrano, a neighborhood in the northwest area of the city. It’s not very big, but definitely celebrated the new year with all the gusto it could muster. 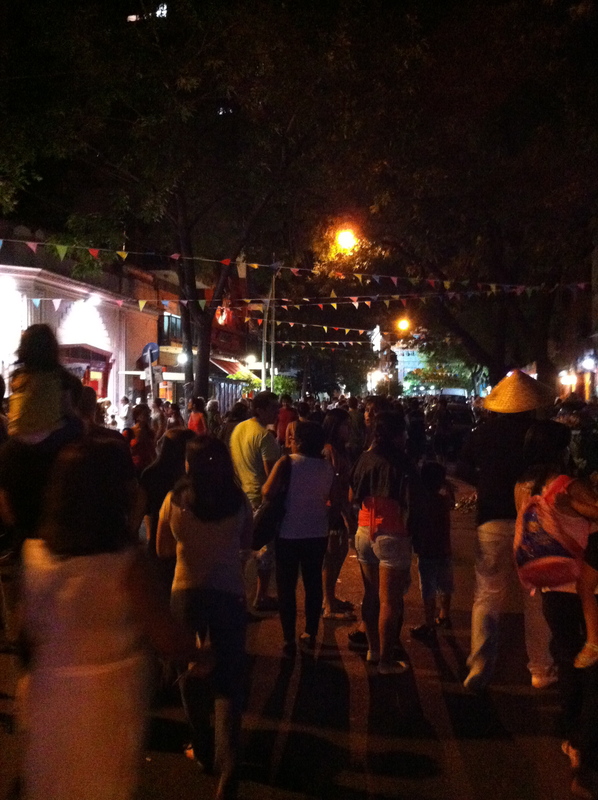 The streets were filled with people, families, and kids running around eating food, chatting, and enjoying the evening. Walking into the Barrio Chino area. 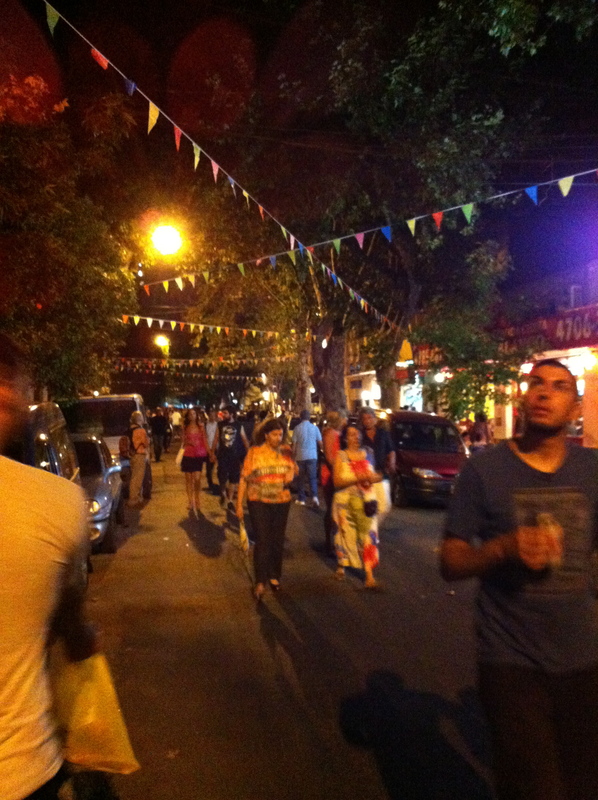 As with most porteño celebrations, the streets are lined with bunting flags. I think this, like balloons outside a home, is the national symbol for “there’s a party going on here”. You can see even at the outskirts of the fiesta it is pretty crowded. Restaurants were packed and many of the street food vendors had moved their fares outside their doors to make it easier to sell. Food lines were long and walking around felt like we were back on Broadway in Soho. But the festive mood was contagious and we had a great time.